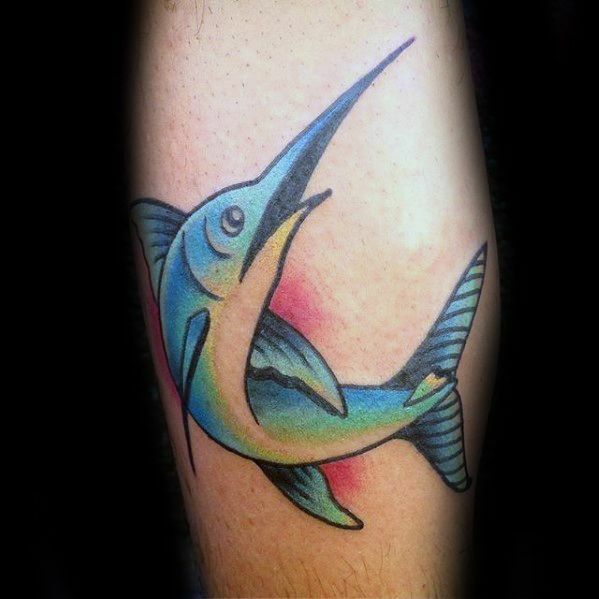 The swordfish, also called the marlin, symbolizes speed and concentration. 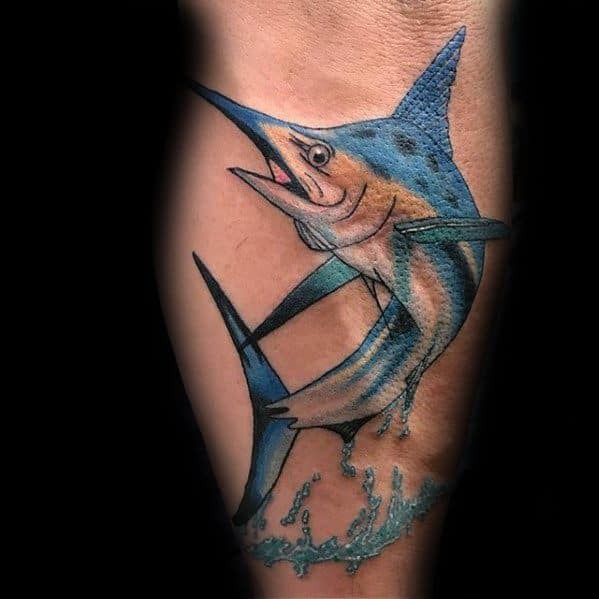 These amazing swimmers can reach speeds of nearly 70 miles per hour. 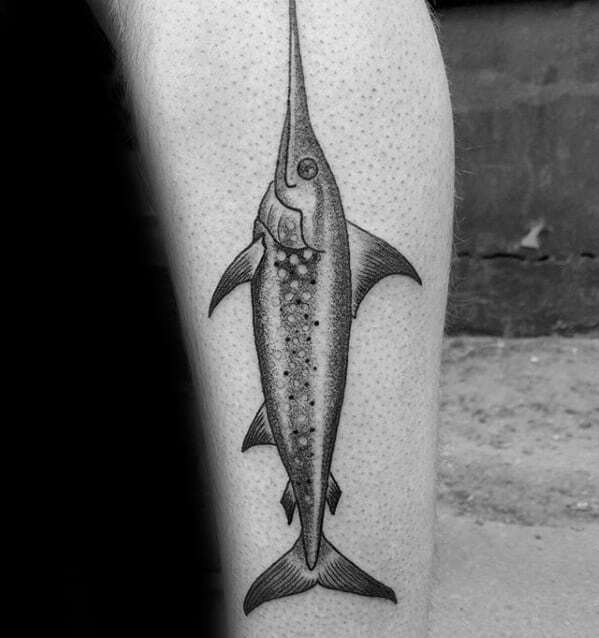 That means if a swordfish sees something it wants, it’s probably going to get it! 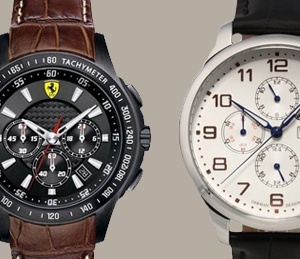 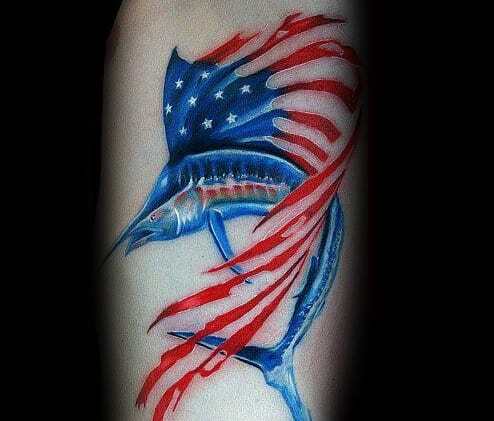 They also represent courage, virtue and strength. 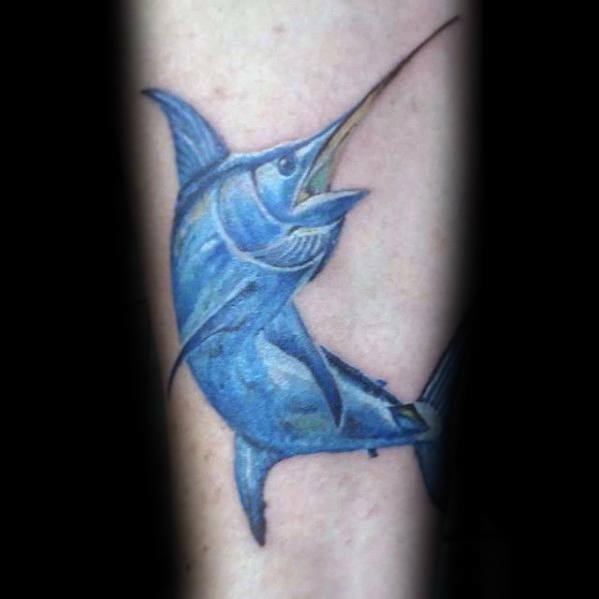 This is because swordfish are tied to unicorns in astrology and mythology. 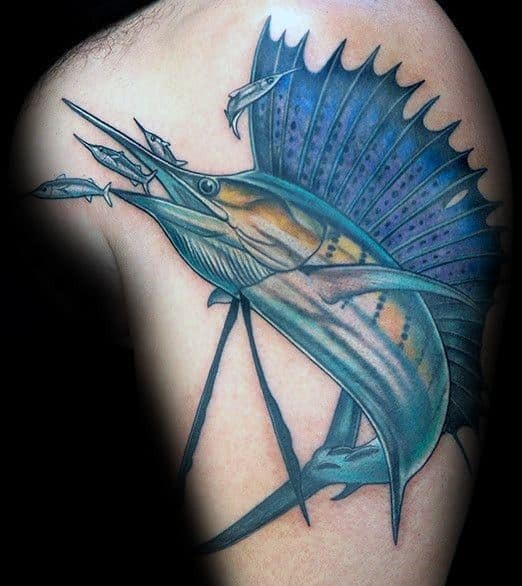 In primal astrology, Sagittarius + Rooster = Swordfish. 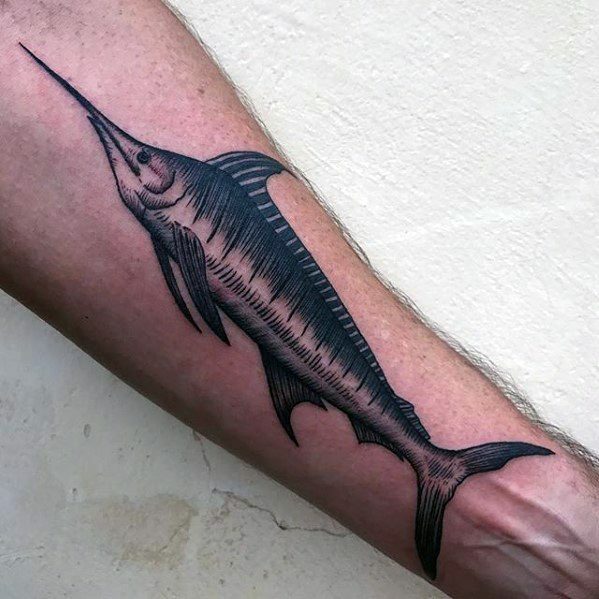 People who are born under the Swordfish sign tend to take a more unique path in their lives. 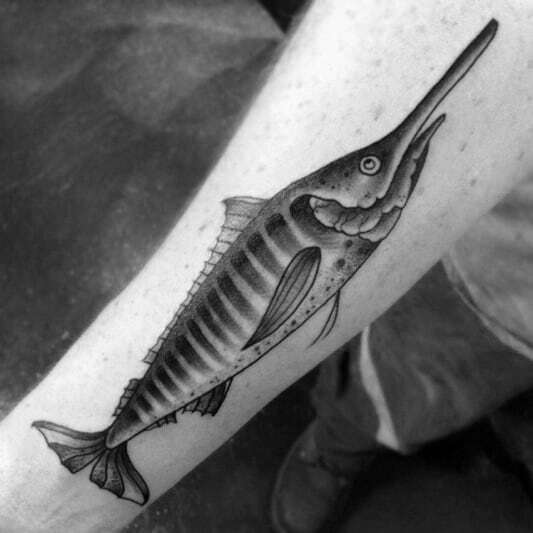 They don’t do anything small. 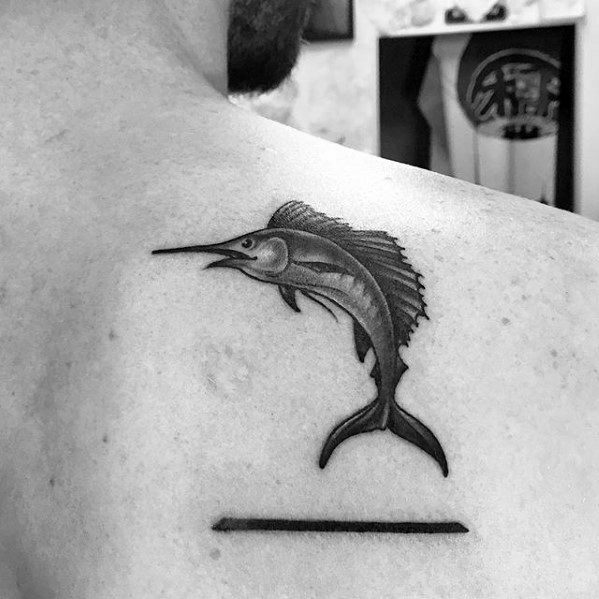 Just as a swordfish will leap out of the sea in an awe inspiring display of power as it hunts, those who live under the sign think big and dream big. 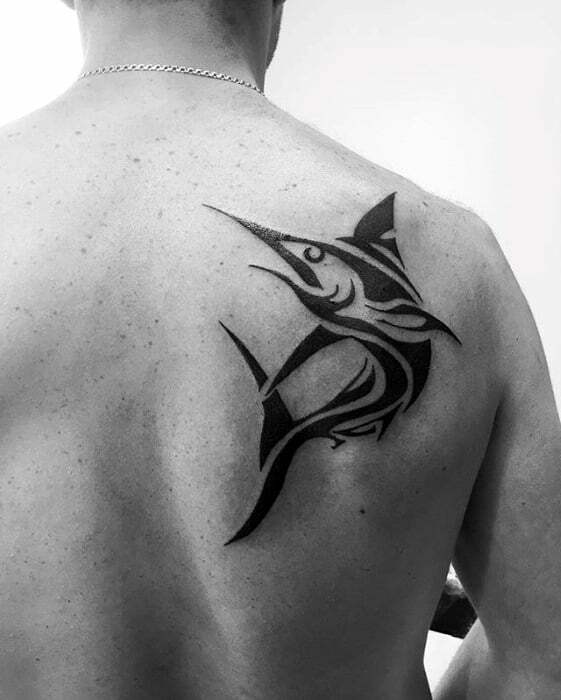 Since they are self-assured and confident, their sign shows that they don’t mind being the center of attention. 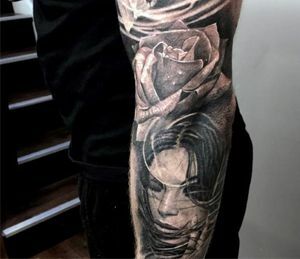 It’s what they do best after all, because they absolutely exude power, radiance and passion. 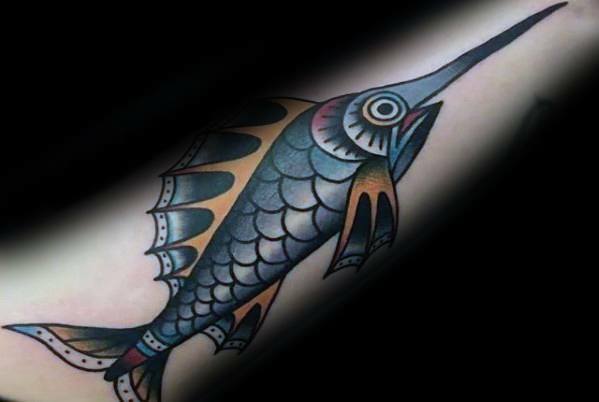 When a swordfish shows up in your dreams, it can be symbolic of masculine sexuality. 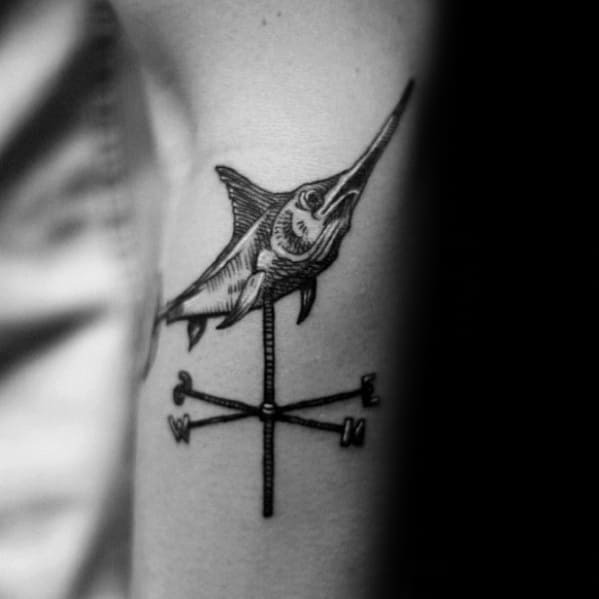 It can also symbolize that you have the strength to break through roadblocks and overcome barriers to emotional happiness. 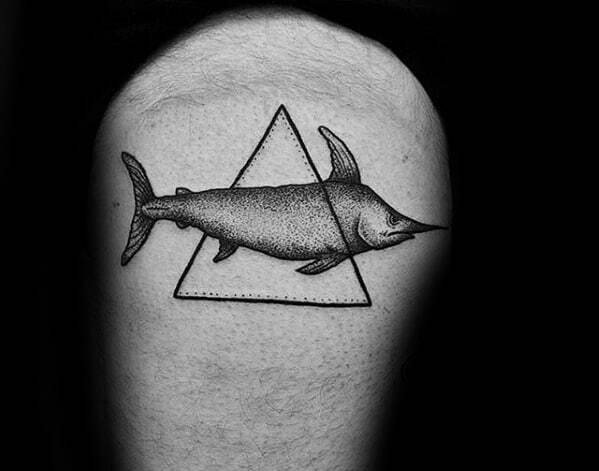 They can even show up as your animal totem to guide you through the emotional chaos of life. 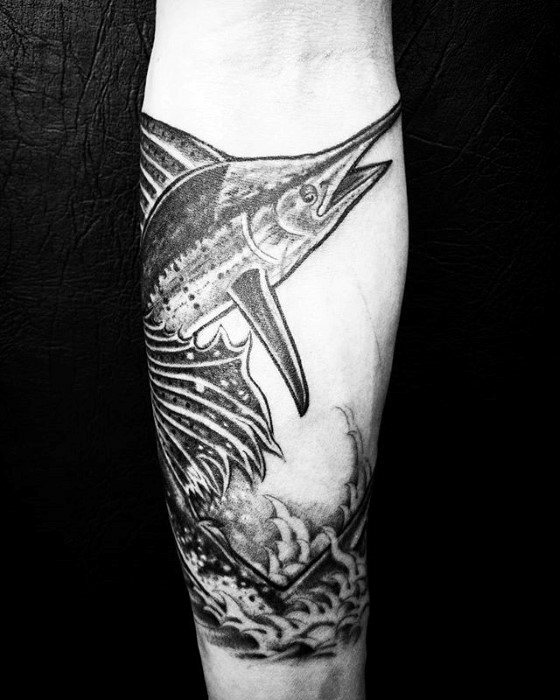 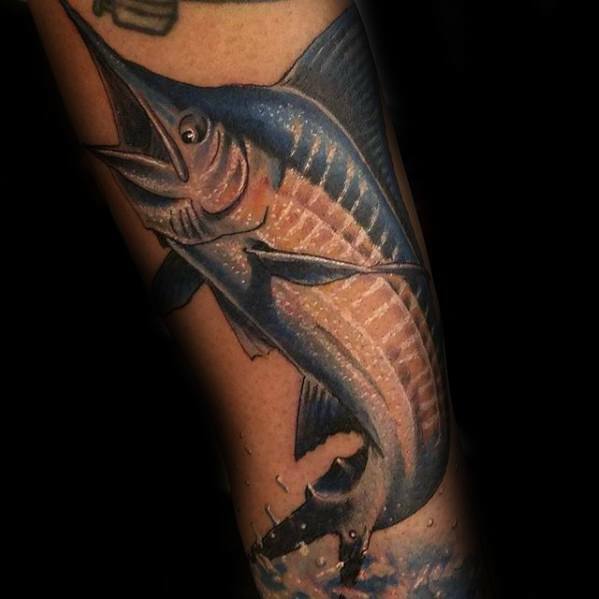 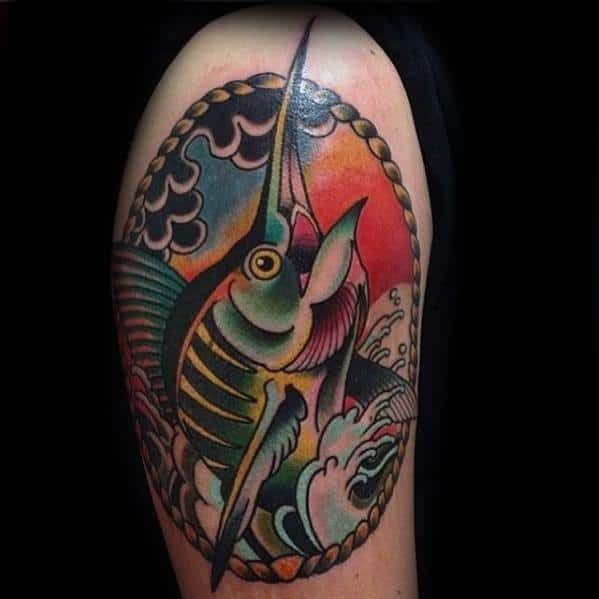 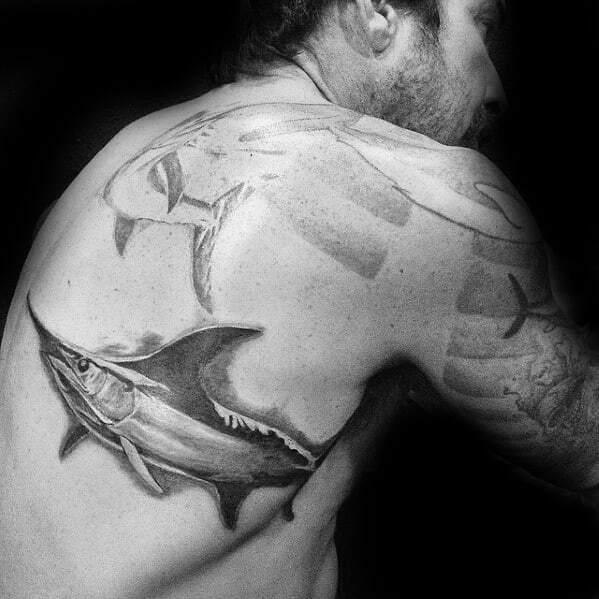 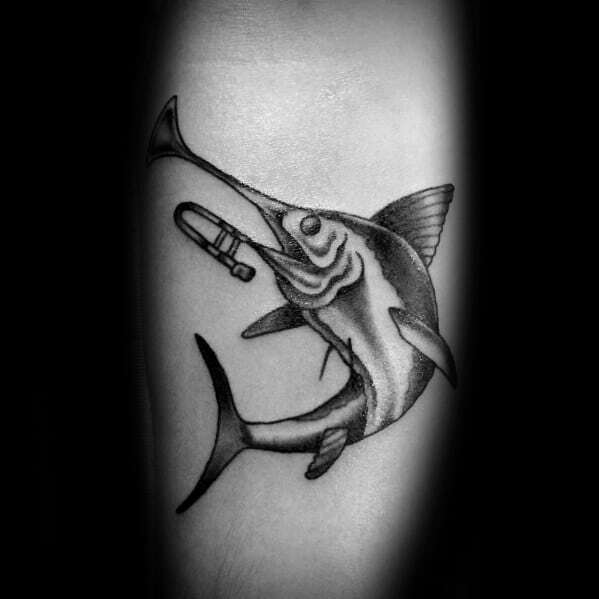 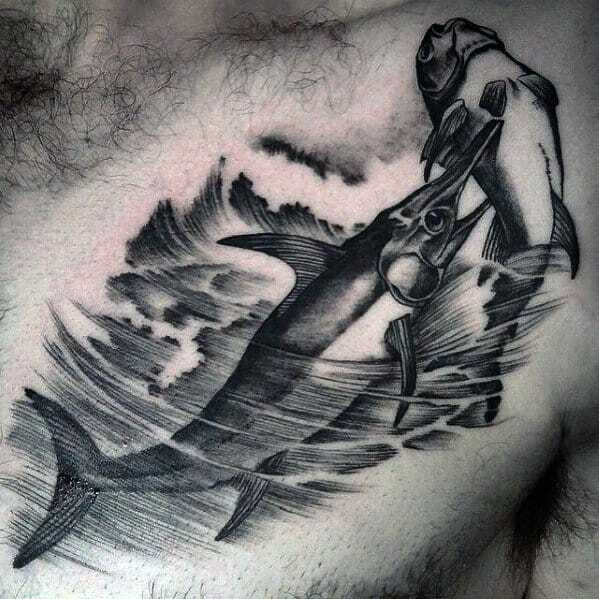 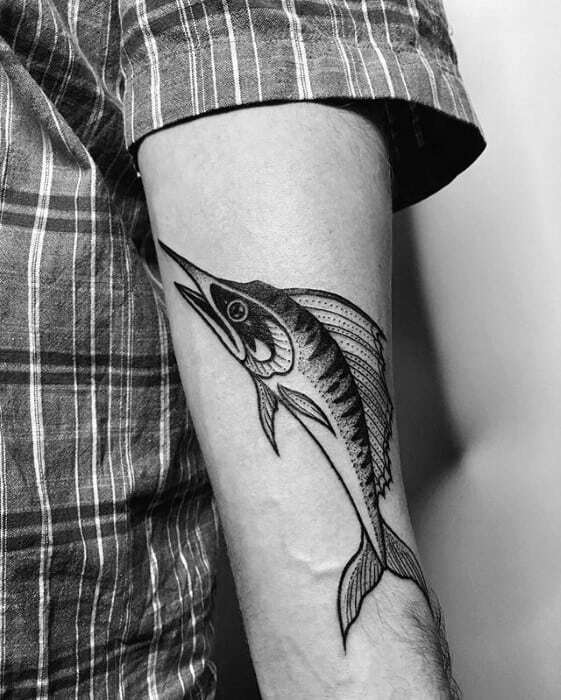 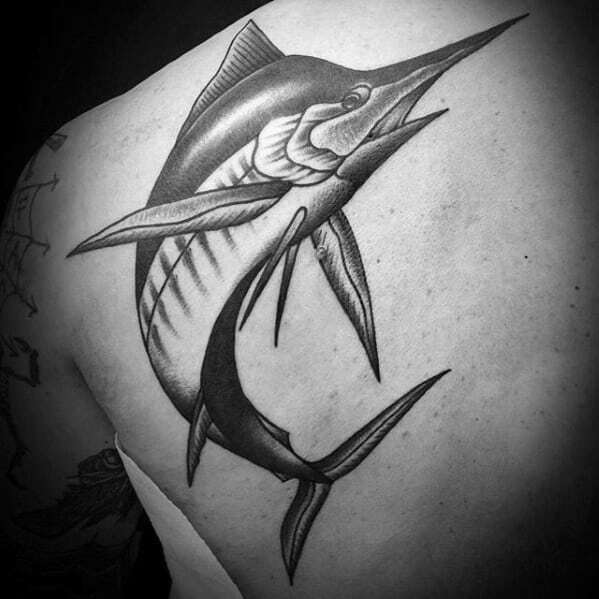 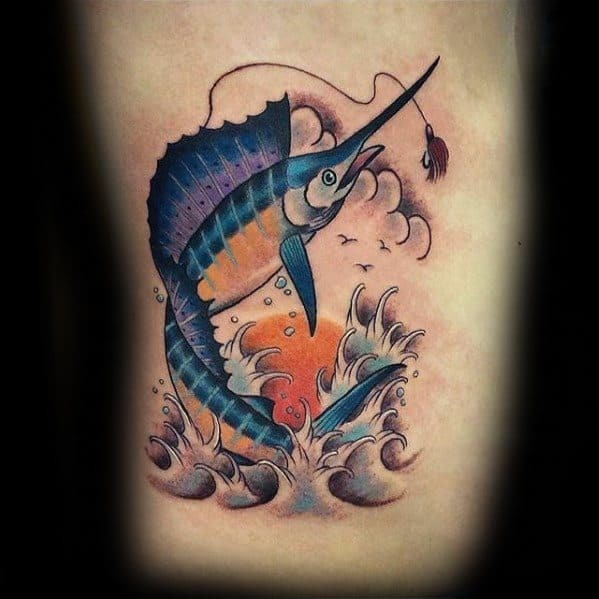 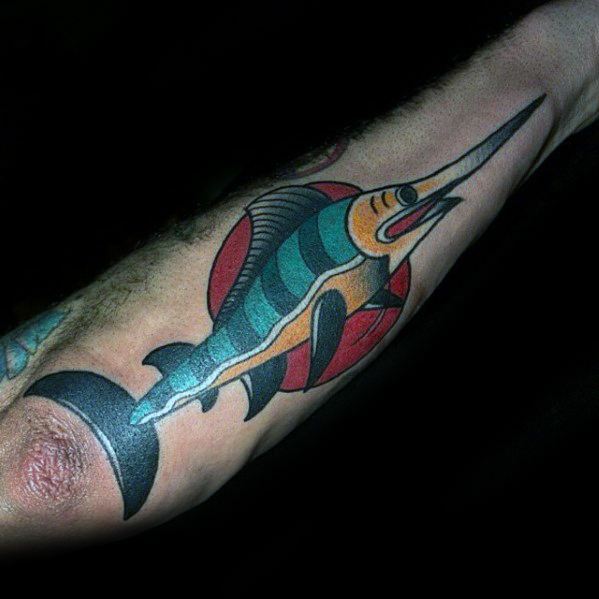 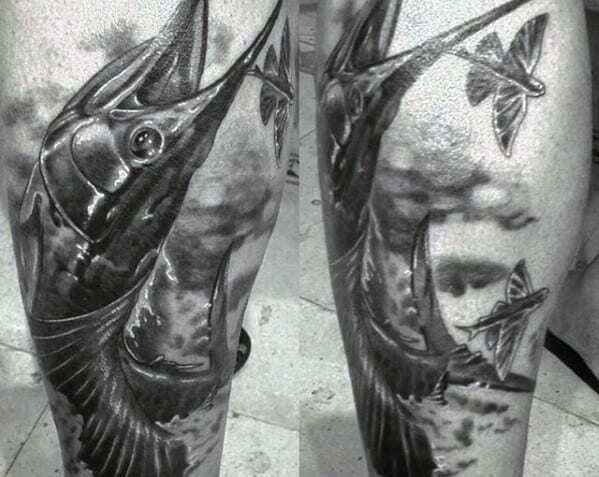 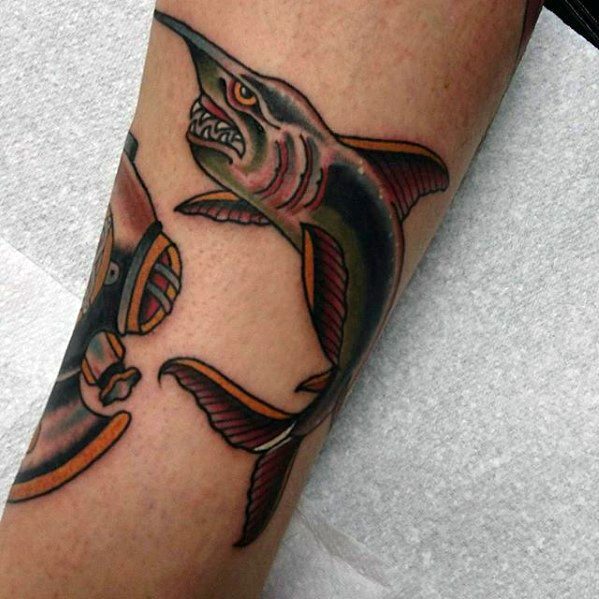 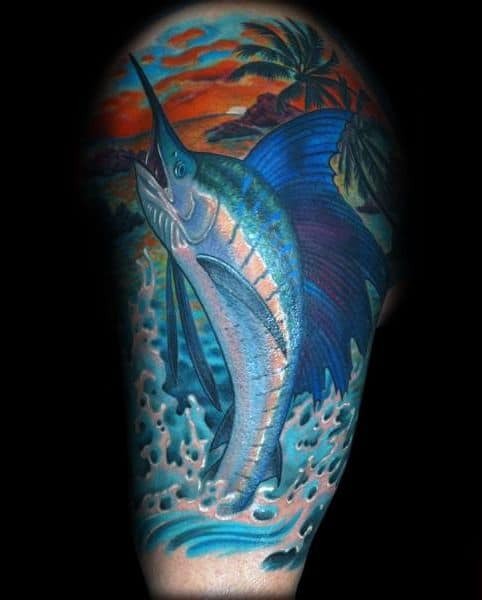 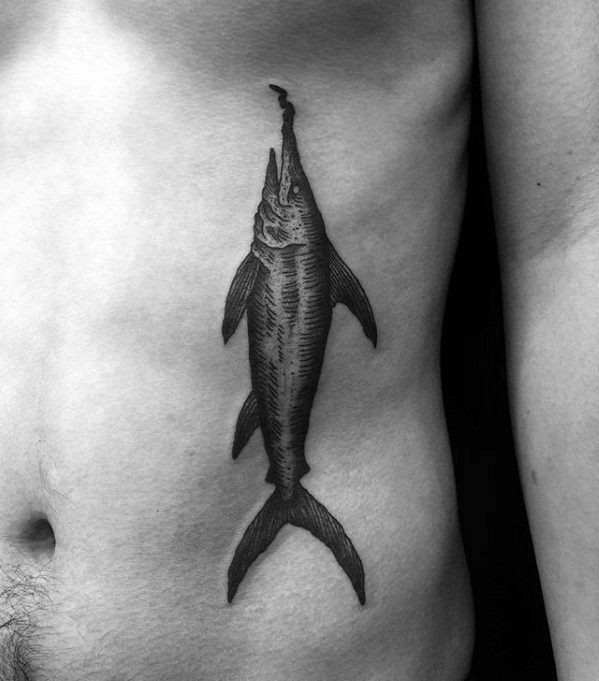 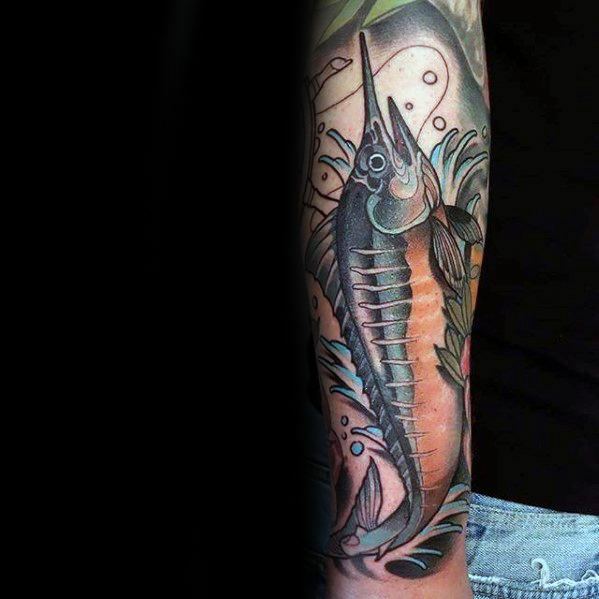 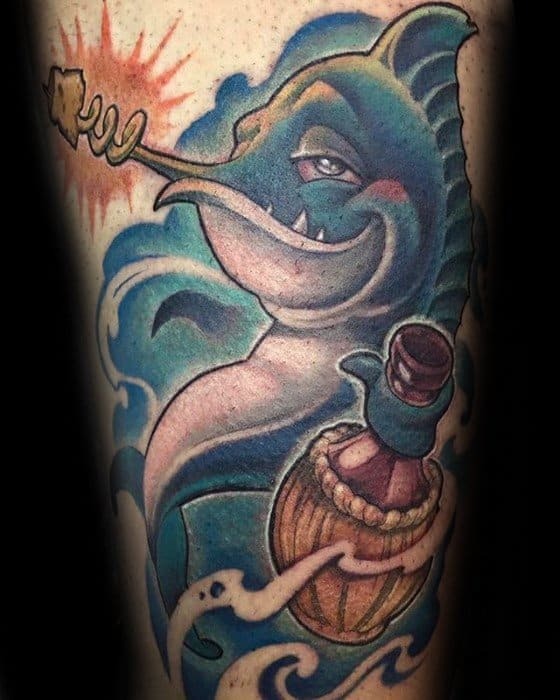 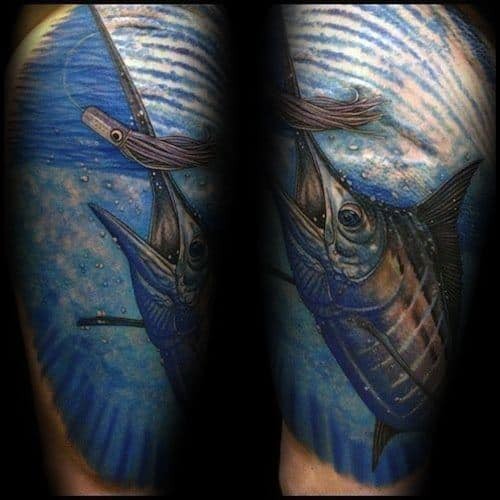 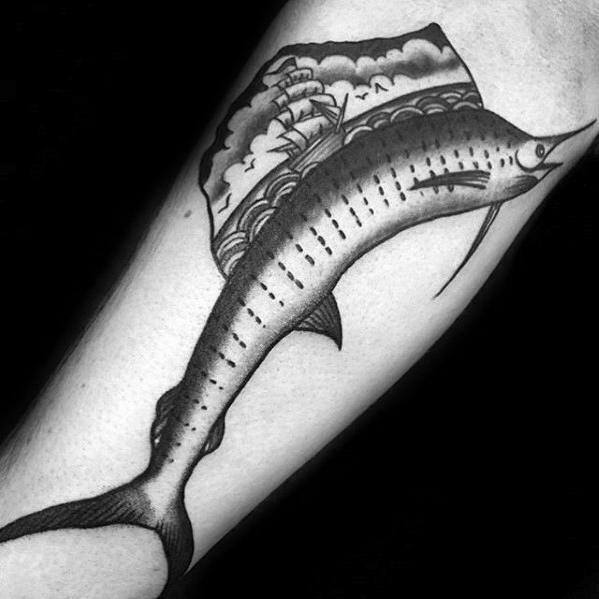 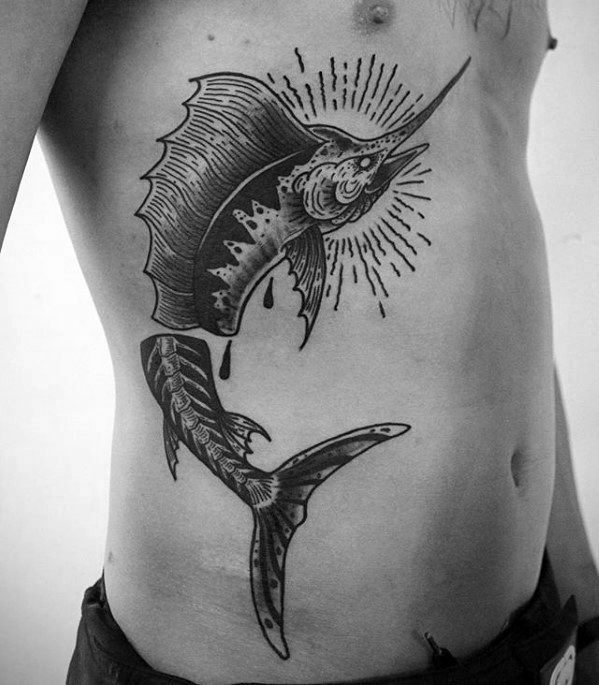 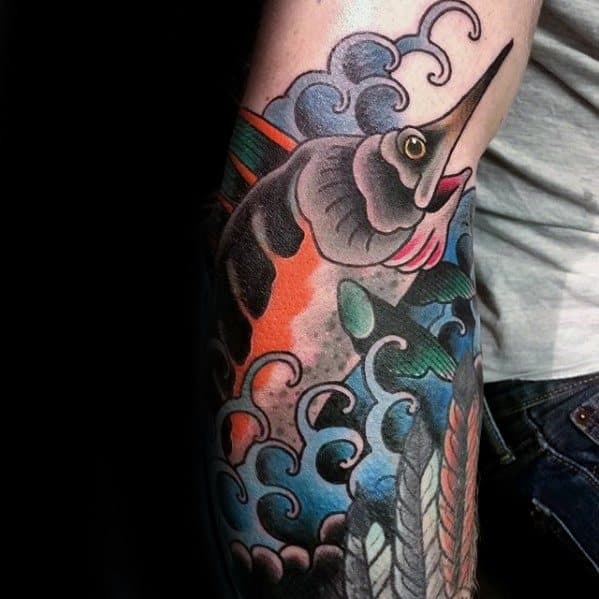 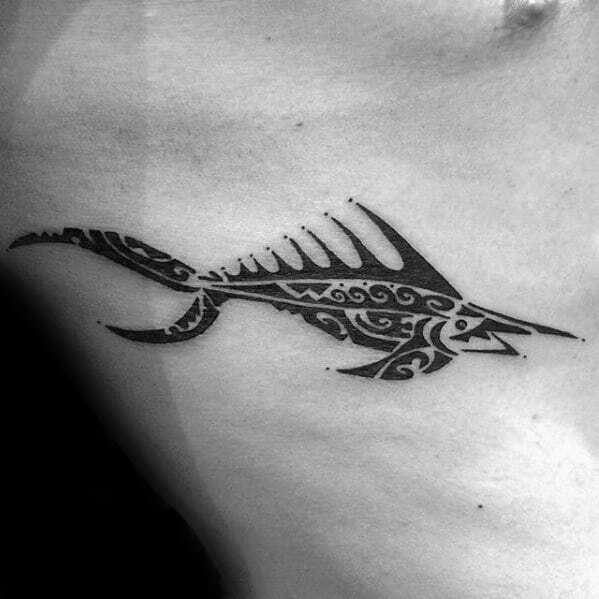 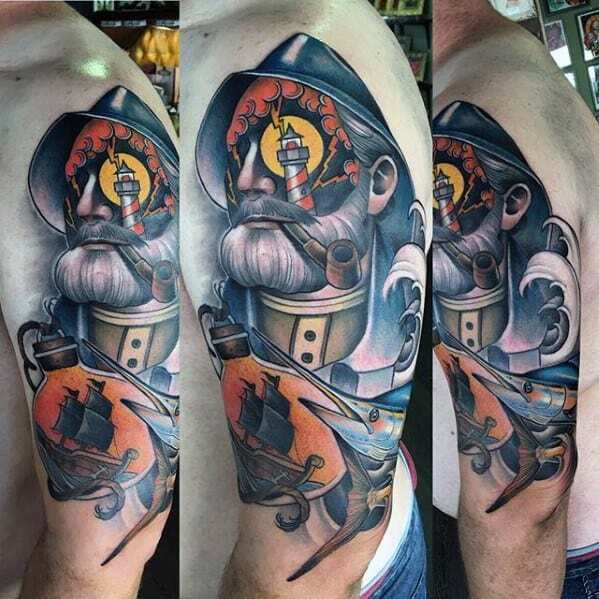 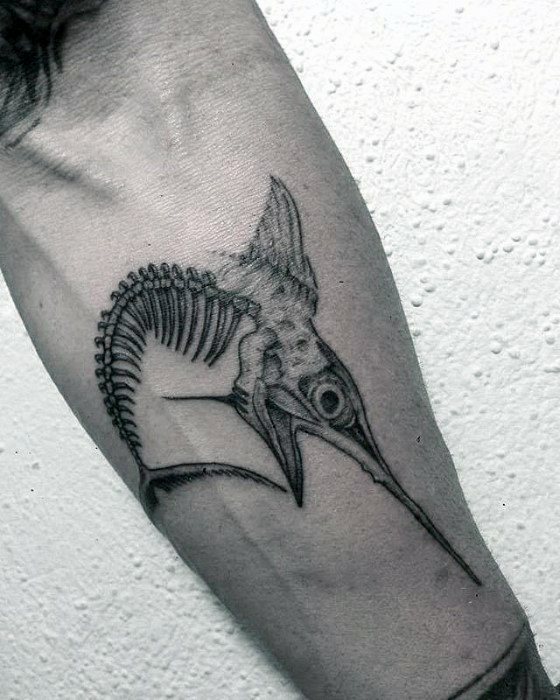 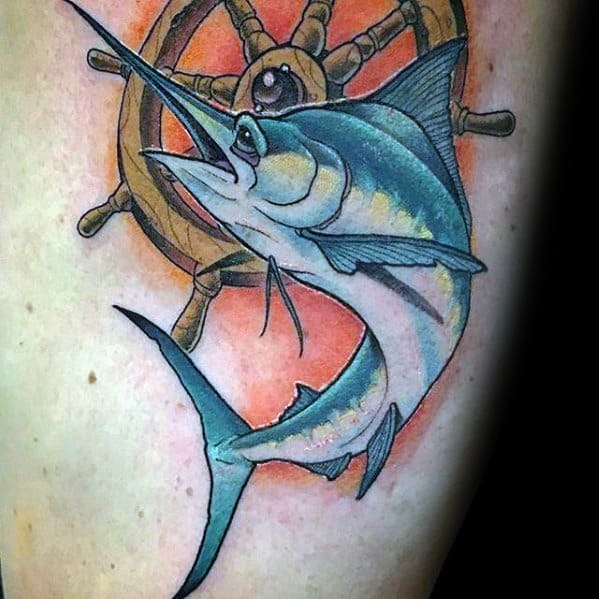 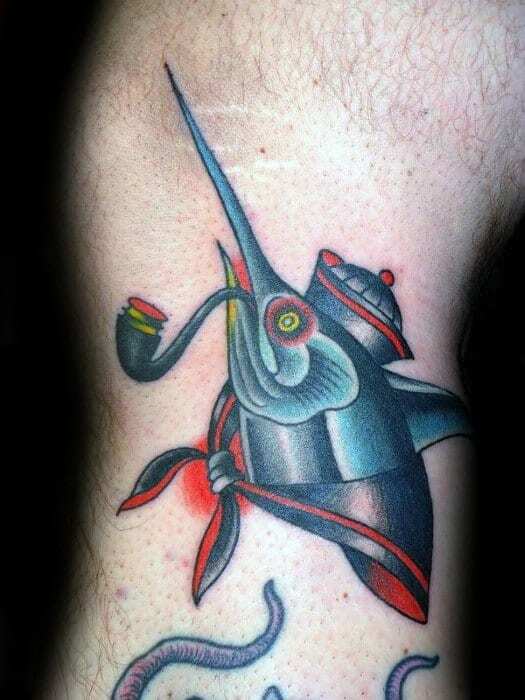 A swordfish tattoo shows love and passion for life in a way that no other fish tattoo can. 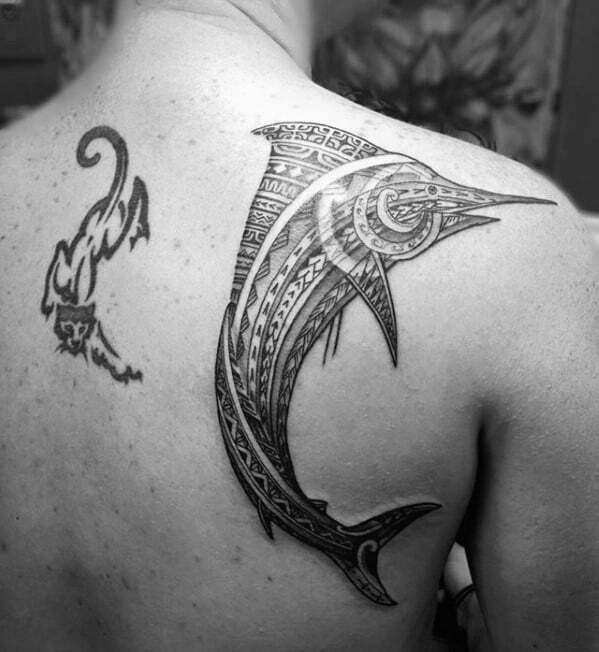 It’s not peaceful like a koi, and it’s not pure cunning and raw strength like a shark. 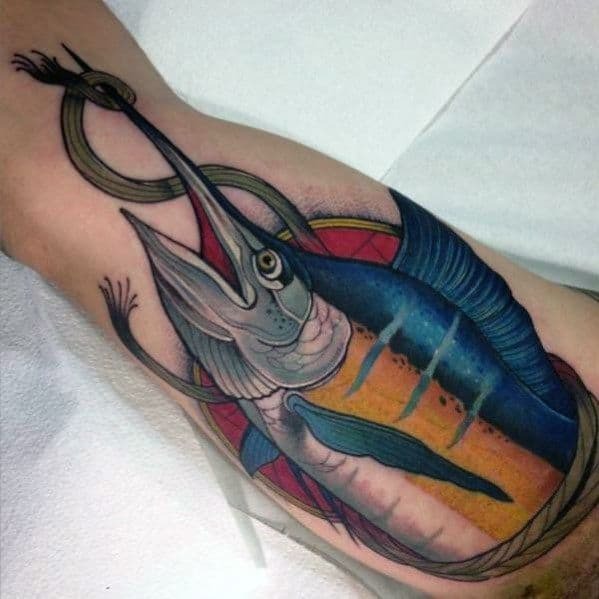 It’s representative of a deeper form of both.